Let’s not forget that Al Sisi’s challengers and potentially serious contenders for president are now sitting in jail or were threatened out of existence during the second-term primary. By virtue of its own authority every dictatorial power -- whether of military, religious or national -- creates for the country a vital, intellectual space or atmosphere where propaganda can flourish. This is the means to enact authoritarian projects for the purpose of tightening a grip on society and to justify repressive actions. One such project is Al Sisi’s future presidential ambitions. Al Sisi will in the near future join the ranks of Nasser, Sadat and Mubarak for duration and pretty much all else. 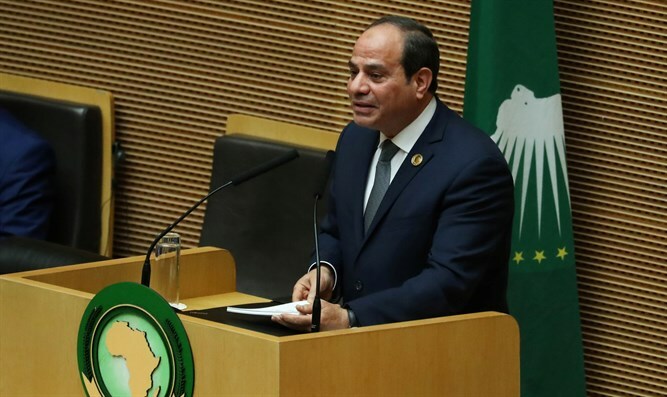 His faction in parliament is now pressing for an unconstitutionally proposed amendment to Article 140 that will give Egypt’s next president two six-year terms. This is fully intended for Al Sisi and a 20-year presidency by the year 2034. It’s being tailored for his longevity. Let’s not forget that Al Sisi’s challengers and potentially serious contenders for president are now sitting in jail or were threatened out of existence during the second-term primary. It’s therefore likely that Al Sisi will in the near future join the ranks of Nasser, Sadat and Mubarak for duration and pretty much all else. Finally, by the end of February a passenger train crashed in Cairo station killing fifty people and injuring 150 more per the official statement. Moreover, a sexual scandal began and went viral pertaining to MP and film director, Khaled Youssef, when a video leaked the story. Importantly, Youssef is vocal in his opposition to the term-limits amendment. By a combination of ignoring the constitution and attempting to illegally change the constitution it is a forgone conclusion that Egypt will gain another very long term president and regime whether citizens like it or not. For those paying close attention, the current situation comes as no surprise. Al Sisi has always had an “Islamic military” disdain for the constitution. Illegally changing the constitution or trying to have always ended badly for Egypt’s presidents. Reaching the end of his first term Sadat modified Article 77 of the 1971 constitution on May 22, 1980 so that he could extend his time in office. Although successful in making the change, he was assassinated in his second term.